24lb 12oz July 1997. 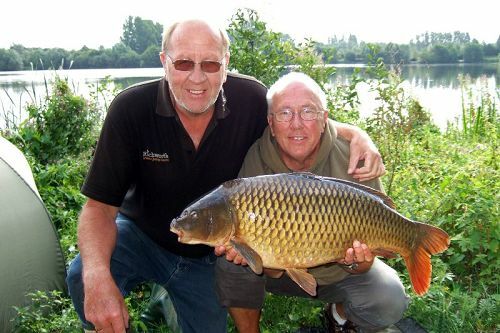 From the same swim. 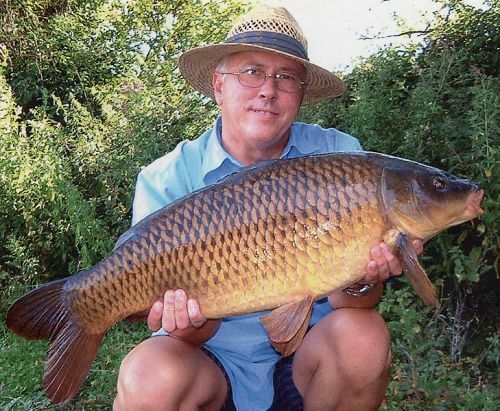 In the summer 1997 Linear Bailiff Roy Parson took a photo of a 24¾lb Manor Farm common for Carp Talk's, Chris Ball. 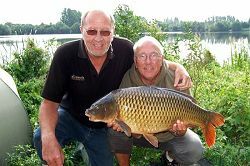 Now 17-years later Roy was on hand to witness another picture in same swim on Manor of this 24lb common. (Aug 2014).